When you are looking for eye-catching jewelry to complete your outfit, look no further than Reflections in Virginia City, Nevada. You are sure to find just what you are looking for. .
We have both designer and vintage jewelry to choose from. We have items from the Victorian era to collectibles vintage designer pieces to choose from such as; Carolle, Hobe, Lisner. Our selection includes: necklaces, earrings, bracelets, brooches, jewelry sets and more for women. Prices range from $20.00 to $300.00 and up. We have clothing and accessories including designer label, dresses, gowns, handbags, hats, millinery trims, jackets, coats, jeans, pants, lingerie, outfits, shoes, skirts, tops, wedding items and children's. Our most popular items include designer labels like; Christian Lacroix, Bebe, Jessica Simpson, DKNY and Roberto Cavalli. Prices range from $20.00 to $300.00 and up. 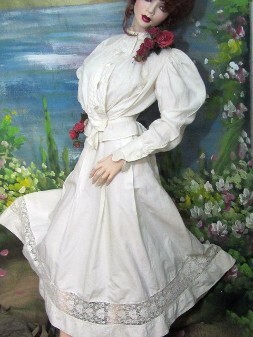 We have items for doll making, antique doll clothes, costuming and sewing supplies. Our textiles include; antique fabrics, lace, trim and embellishments. We have fine silk, cottons, wool, natural fabrics that are hard to find! Select from antique French bead-work, fine handmade lace, antique edging and trims. Rare items and remnants from the Victorian, Edwardian and Art Deco eras.